This service is basically for HNI, Regular Traders & Brokers. The BEZEL’s EZE MONEY program provides an opportunity to earn for life time. Simply sign up and refer a friend who further trade with BEZEL and makes you eligible for life time earnings. 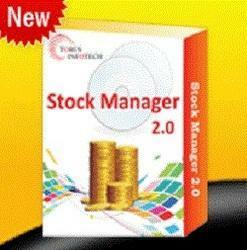 It’s an amazing way to generate monthly income even without trading in the stock market!. - This service of Stock In Future includes a combination of Intraday and Delivery Based products. Super combo offer draws together a mighty mix of both trader and investor packs with timely expert advice, Stock News and Recommendations based on far-reaching research, credible reporting, & unbiased analysis. In this service you can ask about 1 stock. Many a times people get stuck into shares at wrong time and at that point its difficult to decide whether to BUY, Hold Or Sell. we will provide you worthy advise with all our technical and fundamental support so that you can take right decision at right time. This is our premium service package for stock tips. In this we provide only sure shot calls for stocks and will cover both cash & future segments. You will get accuracy of more than 90% and with less trading risks you get more profit. We provide trade calls services, where in we inform the entry and exit points. We also explain as to how our trade calls are to be executed.